Mentor, Ohio – Avery Dennison Graphics Solutions has named four continental winning vehicle graphics installers in the “Wrap Like A King” Challenge. 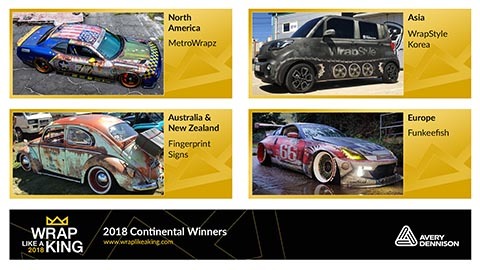 These winners, who showed their prowess with Avery Dennison® Supreme Wrapping™ Film, the Conform Chrome™ Series and MPI 1105™ Supercast Digital film, come from North America, Europe, North Asia and Australia. 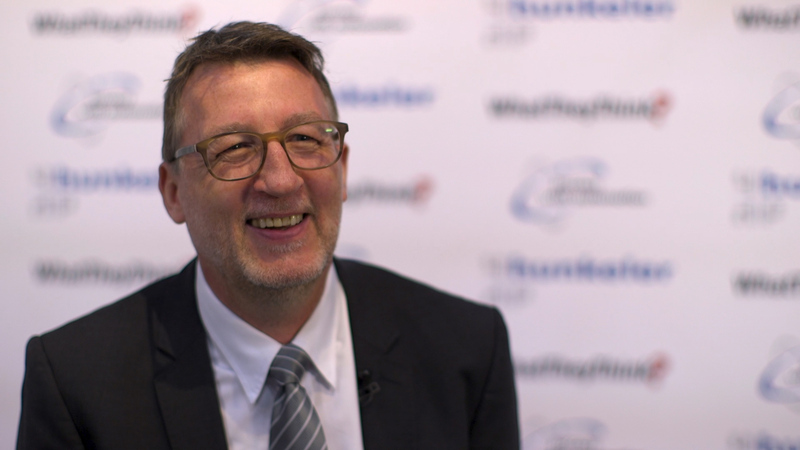 The 2018 Challenge judges include Justin Pate, co-owner of The Wrap Institute; Myles Kovacs, president and co-founder of DUB® Magazine; Jun Kinoshita, sales manager of Avery Dennison Graphics Solutions Japan; Mark Richardson, director of Elite Wraps and Vehicle Graphics; Alain Carcat, technical sales support for Avery Dennison Graphics Solutions Europe; Molly Waters, senior technical specialist for Avery Dennison Graphics Solutions North America; Peter Wright, technical marketing manager for Avery Dennison Graphics Solutions Asia Pacific; and Marco Kimme, founding member and chairman of the German Wrapping Association. The four Continent Wrap Kings will receive a four-night stay in Las Vegas for the 2018 SEMA Show, where the “King of the Wrap World” will be announced. The $3,200 prize pack for each continent winner also includes personalized Wrap Like a King swag, $500 in gift vouchers, a Race Ramp product and a variety of promotional and marketing tools for the winner’s wrap shop. 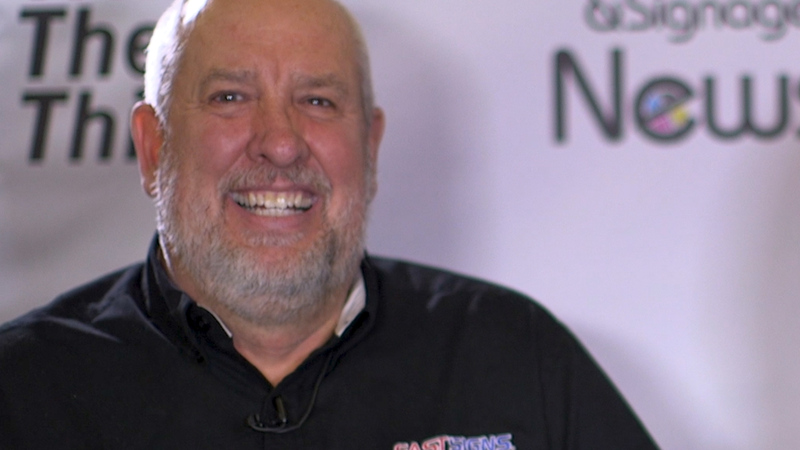 The 2018 King of the Wrap World grand prize winner will be announced on Wednesday, October 31 in Booth 12659 at the SEMA Show. The King of the Wrap World extended prize package is valued at almost $5,000, with additional gift vouchers and exposure via the Avery Dennison website and web advertisements.